Dr. Schultz combines theoretical and experimental approaches to study the emergence, operation and optimization of gene networks, with a focus in antibiotic responses in bacteria. 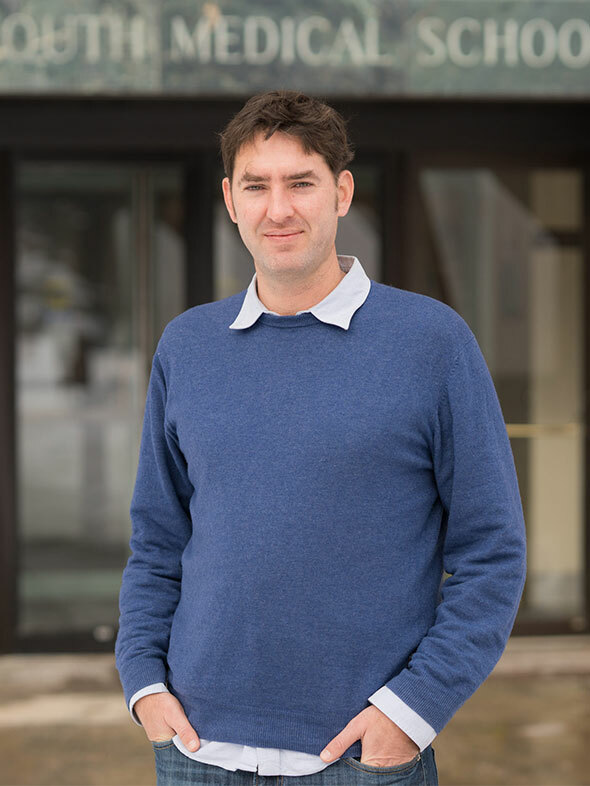 He uses basic evolution experiments, bioinformatics and mathematical models to investigate the evolution of gene regulation in the context of dynamical responses. He intends to guide innovation in clinical therapies by uncovering the selective pressures that shape the evolution of antibiotic resistance. Dr. Schultz has a background in electrical engineering from the Technological Institute of Aeronautics, in his native Brazil. He started his academic career investigating the stability of small carbon nanoparticles. He moved to the US for a Ph.D. in Chemistry and Biochemistry at UC San Diego, working at the Center for Theoretical Biological Physics with Dr. Peter Wolynes, where he used stochastic models of gene regulation to study the role of noise in bacterial networks performing cell decisions. For his postdoctoral work Dr. Schultz moved to Dr. Roy Kishony’s lab, at the Department of Systems Biology at Harvard Medical School, where he developed both theoretical and experimental approaches to uncover the design principles that shape the evolution of antibiotic resistance mechanisms in bacteria.